(Reuters) – India defied the world on Wednesday in a row over food stockpiling that has crippled attempts to reach a global trade agreement, raising doubts that backroom talks can reach a compromise before a Group of 20 summit this month. At the end of July, Prime Minister Narendra Modi pulled the plug on implementing a so-called trade-facilitation deal struck in Bali last year, linking it to the emotive issue of rural poverty in his country of 1.25 billion people. India wants to keep a so-called ‘peace clause’ that protects its huge state food purchases until the World Trade Organization can strike a definitive deal on stockpiling. As originally envisaged in Bali, the clause would expire in four years. Critics say the food stockpiling amounts to paying farmers to produce food, which is likely to lead to food surpluses that will get dumped on world markets. New Delhi’s blockade has plunged the WTO into its worst crisis in two decades, leading Director General Roberto Azevedo to float the idea of abandoning the consensus principle on which the 160-member group operates. Modi’s tough line jars with the ‘Make in India’ pitch he has taken to investors abroad in his first five months in charge. Having failed to make progress on trade when he met U.S. President Barack Obama in Washington, he could find himself isolated at his first G20 summit of world leaders in Brisbane, Australia, on Nov. 15-16. “India’s position on trade facilitation has been completely misunderstood because of unreasonable positioning by some of the developed countries,” Finance Minister Arun Jaitley told a World Economic Forum conference in New Delhi. Jaitley repudiated suggestions that India was fundamentally opposed to trade facilitation, which would entail easing port and customs procedures and, by some estimates, add $1 trillion and 21 million jobs to the global economy. India has begun backroom efforts to break the deadlock, sending a top trade ministry official to Geneva this week for talks with Azevedo and key WTO members. Trade diplomats said that there was no hint, however, that a compromise could be reached on India’s demands, which have been vague and varied in the months since its veto. On Monday, Modi held a meeting of Indian trade ministry officials to discuss how the deadlock could be broken without compromising India’s food-security concerns. “If India has to submit a proposal, it would be presented at the right time,” a senior trade ministry official with direct knowledge of the matter told Reuters. India refuses to bow to foreign calls to scale back a scheme to buy wheat and rice that it distributes to 850 million people. In a recent disclosure to the WTO, India said those purchases cost $13.8 billion in 2010-11 – part of the $56.1 billion it spent in total on farm support. 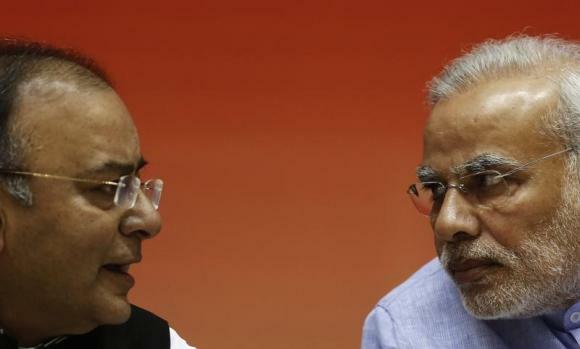 “All that we are requesting is the settlement of the dispute with regard to the food stock holdings, and the peace clause must continue to co-exist,” Jaitley said. Diplomats say that without a WTO deal on trade facilitation, countries could simply tack the draft agreement onto their existing membership terms, putting the onus on India to object – and explain why its interests had been damaged by such a move. Yet economists say WTO members lack any effective means to bring pressure to bear against Asia’s third-largest economy, which is home to a sixth of the world population. “It’s an issue that in India is so politicized – you have hordes of the population living in poverty and depending on food aid,” said Shilan Shah, an economist who covers India at Capital Economics in London.